Backpacking of one of life’s great joys and privileges, and for those who do spent time travelling to far off places getting into adventures, it’s nice to get a memento of that care-free time. 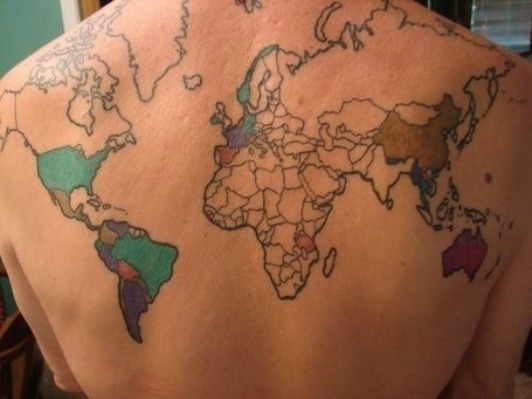 Here are some tattoo ideas for backpackers to consider if they want to take something special home. This is a great idea if you want to spend years travelling the world, instead of simply a gap year. Fill in the countries you make it to, and have it as a reminder that there’s still plenty to see and do! A minimalist tattoo of your adventures can be summed up in one simple image; a plane. A long-held symbol of travel, a compass is a great way to remember who you are at heart, and always find your way home. Collecting passport stamps is a great way to show which counties you’ve been to, but also a fantastic permanent reminder of your international adventures! Instantly recognisable, world-famous landmarks look great visually, and if done like above, can really be a classy reminder of your backpacking days. Wanderlust is a borrowing from German, and means a strong desire or longing to travel. If many people, once they get a taste of backpacking, it’s hard to stop, so this little word perfectly sums it up. What image is better to sum up a world traveller than the world? 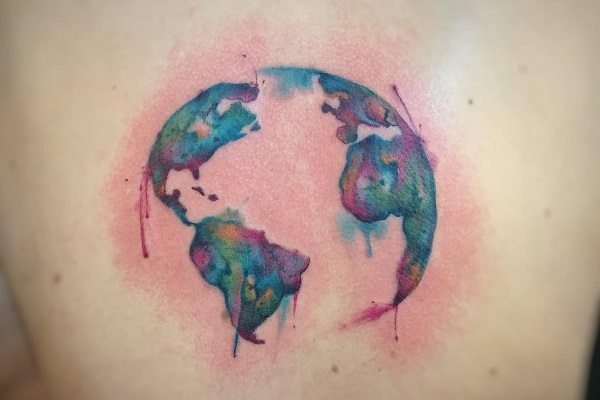 Globe tattoos can come in lots of different variations, from this gorgeous watercolour tattoo through to solid black silhouettes. Of course, we couldn’t leave Aotearoa off the map! New Zealand gets thousands of backpackers every year, with many of them wanting to take a piece of our beautiful country home with them. 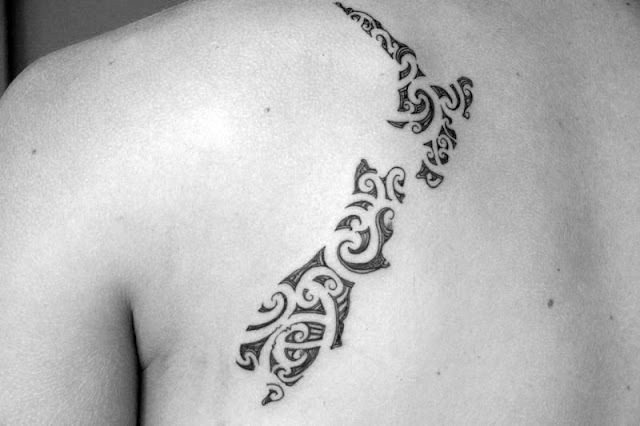 If you would like a stunning tattoo of New Zealand, please come and see us here at Sunset.